Just a few weeks ago we were in Lapland. It was freezing (literally, it was minus 20 °C when we got there). Compared to the sunny and warm spring time London, that was a huge change! We loved it. 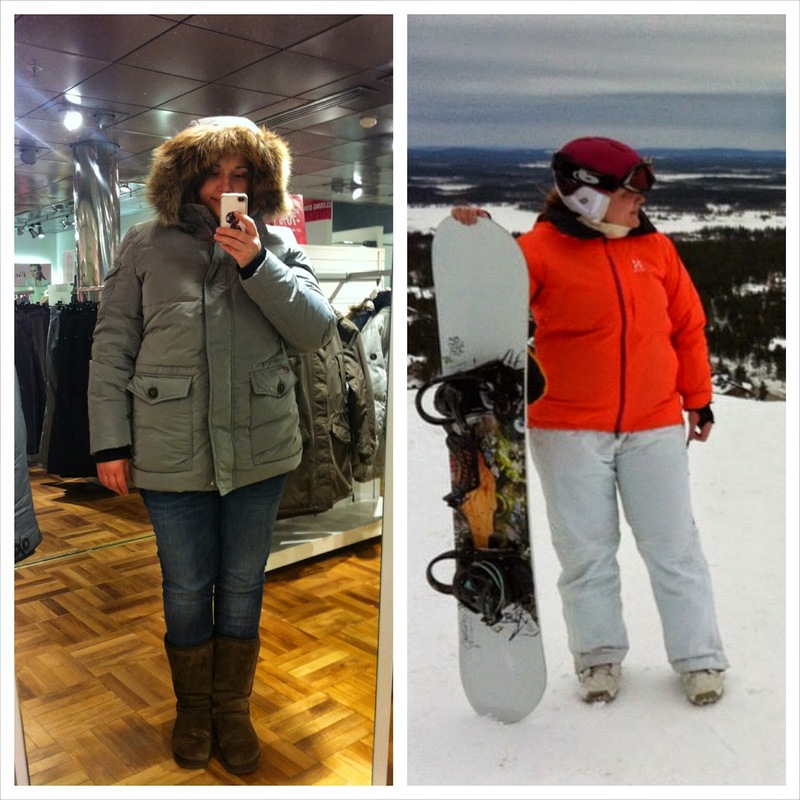 Our primary objective in Lapland was to do some skiing and to spend some family time with my folks. We flew in from London and they drove up to Lapland from Southern Finland where they reside. The journey was long, for all of us, but it was worth it. Lapland is just such a beautiful place, with so many things to do and to experience, and the town we went to (Levi) is a nice little ski town with a very nice ski centre. During our holiday we did some shopping. We had a long wait at the airport in Helsinki. To pass the time we ended up going to the shops and walked out fully kitted to the arctic conditions, with a proper thick down-filled winter parkas for both of us. They came in quite handy I can tell you! We didn't really buy much anything else except some ski wear in the resort - they had great sales going on there too at the end of the season. We ate out lots, and had a blast on the slopes. 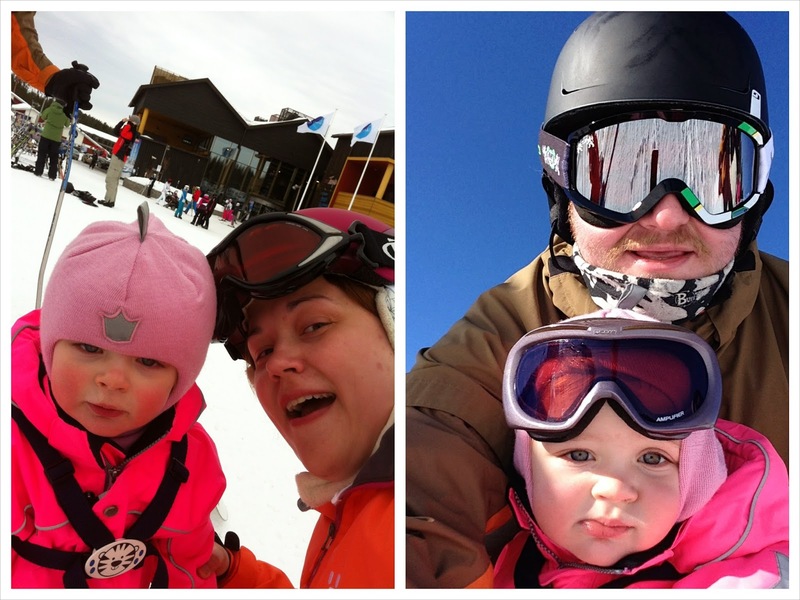 Nearly every day we would be out on the slopes, my husband skiing and me snowboarding, and my parents spent time with our daughter. It was lovely for them to be able to spend some quality time with her, and us having a bit of adult time too. The skiing was lovely - the slopes were in generally good condition and there were plenty of different slopes and levels to choose from. Apart from skiing we didn't actually do much. I did go with my little one and my mum to feed reindeer (lichen, their favourite food), and we visited an exhibition about the native Sami people, but that is it. While there were plenty of things to do from husky rides, to snow scooter safaris and Northern Lights spotting, by afternoon were usually so knackered that was it for us for the rest of the day. While we did have a great holiday, not everything went swimmingly. Now, I have to tell you, I've been snowboarding for years. I had my first snowboard when I was 10 and have done two seasons in Chamonix. I don't usually wear a helmet as I am pretty proficient and like to ride chilled, in control. Doing my turns, enjoying the scenery... Which was what I was doing when someone slammed into me from behind, leaving me with a head injury and a whiplash. I felt pretty dizzy the following day and it too me a day to recover. It could have been much worse though. Thankfully it wasn't. Now I do have a helmet! Just in case someone rams me again... I am pretty sure of my own skills, unfortunately you can't be of others. I'll write a bit more about Levi and Lapland as a place to do some skiing later, tips and things to do and so on. I hope we will get to go there again sometime!